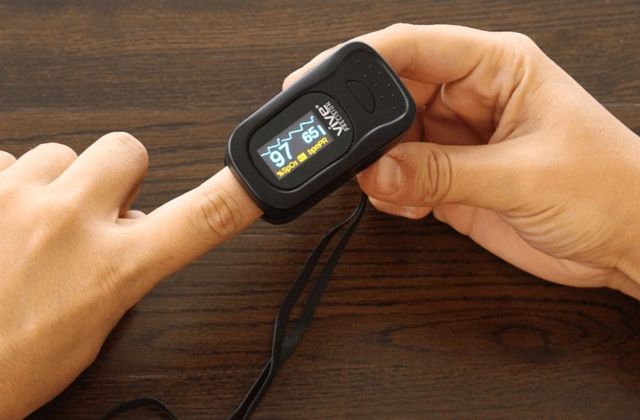 This device can be used to measure triglyceride levels. Its memory capacity is nothing short of excellent, capable of recording 500 results. The wasting strips are a little expensive. What we have here is a reliable and versatile device. It comes supplied with every necessary medical implement. 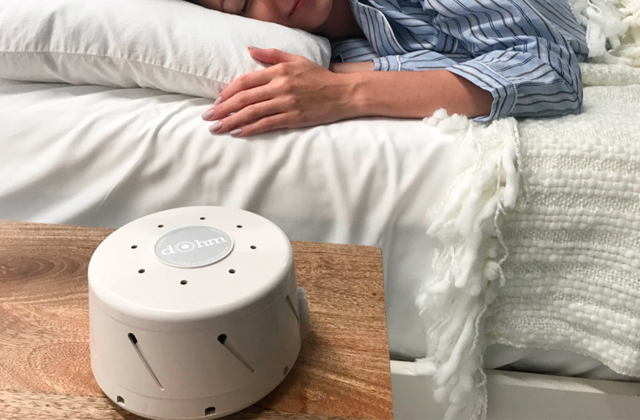 Though advertised as a home checker, there isn't a medical institution that wouldn't be able to benefit from this little machine. You can connect this model to your computer via USB. This way, you can email the results to your doctor. 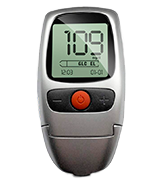 The device is able to display results in either mmol/L or mg/dL. The instruction manual is really long. 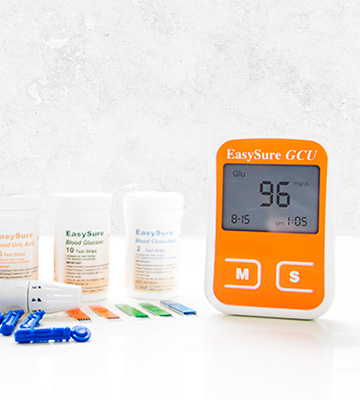 You can hardly go wrong with Easysure GCU. The device is accurate, convenient, and simple enough. You can fit it in your pocket, though it does come with a nice little carry case that includes separate compartments for medical tools and straps that hold these tools tight. The replacement Easy Life test strips are affordable and available practically everywhere. The carry case is large enough to fit the device and every supplementary implement. Some information on the display is barely readable. 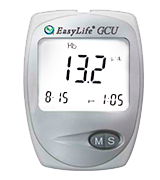 Easy Life Cholesterol Monitor Kit gives you great value for your money. You can set the checker to automatically begin measuring the moment you insert the lancing device. With it, you shouldn't have any calibration problems. The checker is NHS approved. The menu system is easy to figure out. The model has one of the lowest recurring costs for strips. Plus, it doesn't burn through batteries as quickly as its peers do. The package doesn't include glucose and uric acid strips. 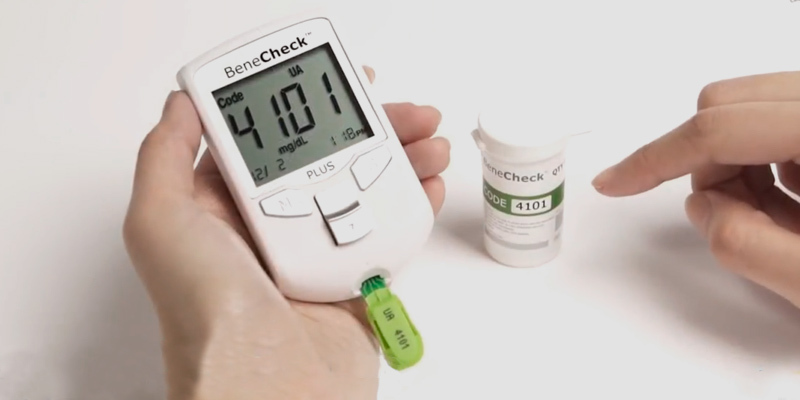 BeneCheck BENEMS-C10 doesn't come supplied with the most comprehensive package. But the home cholesterol test device itself is top-notch. Its measurement range is really broad and the special ejection designed minimises the infection risks. 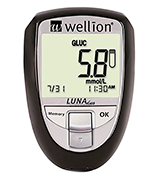 Wellion Luna Duo Cholesterol and Glucose monitor ideal for home monitoring. 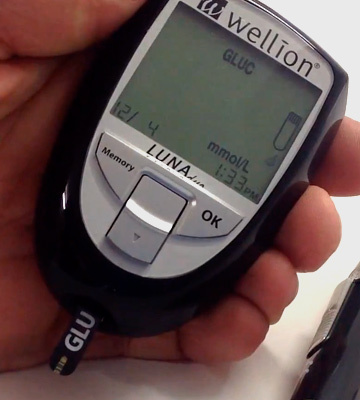 Wellion Luna Duo is really quick, able to measure your glucose levels in just 5 seconds and cholesterol in about 25. The anti-slip knob and the eject button for used strips make this tester a real pleasure to work with. The device doesn't measure uric acid. Provided you don't suffer from hypoglycemia or any other blood sugar related issue, Wellion Luna Duo is the model to go for. The device is fast, effective, and particularly practical. Considering how expensive cholesterol strips are, you're really getting your money's worth. This self-testing kit from Prima Home Test is really putting the "kit" into that equation. See, with these devices, you usually get a lancet or two, maybe a carry case but not much more than that. Well, that isn't the case here. With this kit, the company supplies a reusable lancing pen, 25 sterile lancets, 3 droppers, the couple of batteries necessary to run the device, as well as a nice little carry case. On top of that, the package includes 5 cholesterol, 5 triglycerides, and 10 glucose strips. That's right, unless the strips don't provide enough of a clue, this device is capable of measuring the triglyceride levels. Thanks to that, you might just be able to avoid liver and pancreas problems. High triglycerides can be a sign of type 2 diabetes. Though different studies show conflicting results, higher triglyceride may also be responsible and play a significant role in heart problems. Other than that, this home cholesterol check machine's measurement range is solid (you can look up the actual numbers in the spreadsheet above) and its memory capacity is nothing short of excellent, capable of recording 500 results. All in all, what we have here is a reliable and versatile device. It comes supplied with every necessary medical implement. 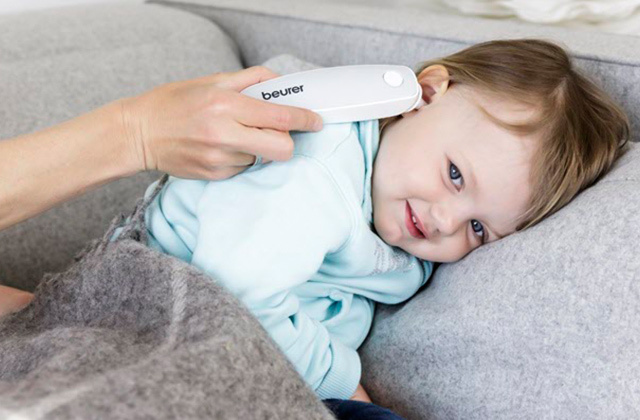 Though advertised as a home checker, there isn't a medical institution that wouldn't be able to benefit from this little machine. 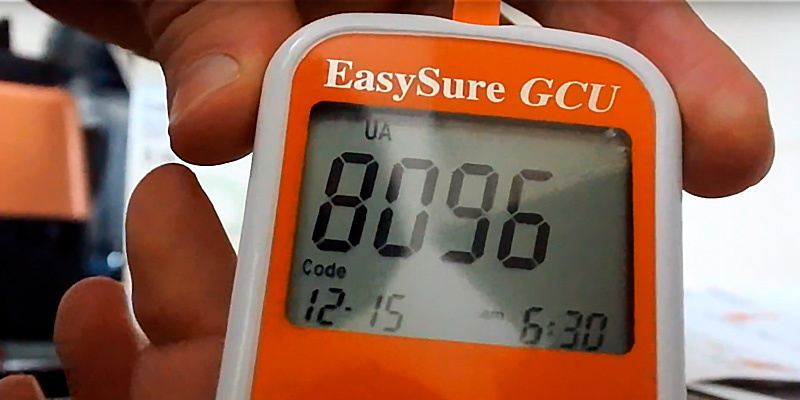 The people behind Easysure GCU advertise it as a simple, effective, and easy-to-use device. Well, we're inclined to agree with them. However, it becomes simple and easy to use once you go through the entire instruction manual, which is longer than a war novel. Apart from that, however, we don't really have any issues with it. To start with, the model comes supplied with a USB cable. As you'd imagine, you can use it to connect the device to your computer. Using the software that's available for free at the company's website, you'll be able to study your results on a big screen or send them to your doctor via email. You can set the device to display results in either mmol/L or mg/dL. More often than not, it doesn't take this little cholesterol checker more than 20 seconds to measure and provide you with accurate results. Its display is large enough, which means you shouldn't have any issues trying to make sense of the values. What's more, the finger lancing device and lancets come with the package too, so you won't have to buy those separately. 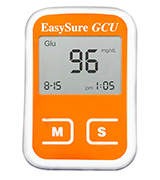 In other words, you can hardly go wrong with Easysure GCU. The device is accurate, convenient, and simple enough. 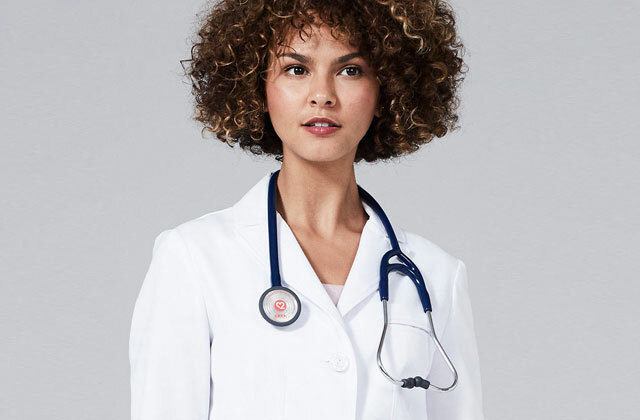 You can fit it in your pocket, though it does come with a nice little carry case that includes separate compartments for medical tools and straps that hold these tools tight. 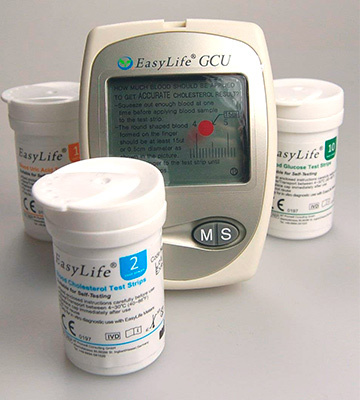 Easy Life Cholesterol Monitor Kit is a really nice and thorough kit, we can give it this much. The zip carry case that comes with it is large enough to fit the device and every supplementary implement but not too large so that you would not have been able to fit it in your backpack or any regular bag. 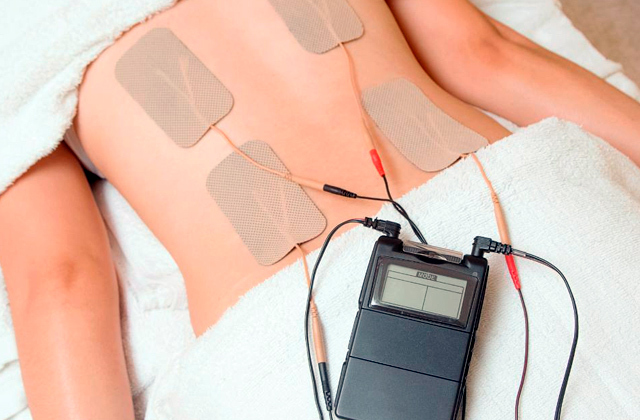 In addition to the said case and, naturally, the device itself, the company sends you spare batteries, an automatic lancing device, a whole stock of sterilants, 2 cholesterol strips, as well as 10 glucose and uric acid strips each. Again, it is a really thorough and comprehensive kit. Sure, there are only 2 cholesterol strips inside but you can always buy them separately, they don't cost a whole lot, just type "easy life test strips" into Google and you should be able to figure it out. Needless to say, considering the aforementioned strips, this home cholesterol test device is capable of measuring cholesterol, glucose, and uric acid levels. Generally speaking, it takes the device around 20 seconds to come up with the results. Its memory capacity isn't bad either, too bad that some of the values can be really difficult to read due to the small font size. 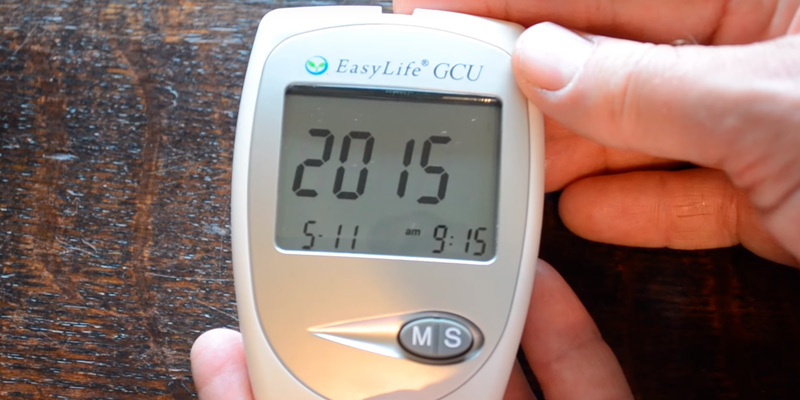 To sum it up, Easy Life Cholesterol Monitor Kit gives you great value for your money. 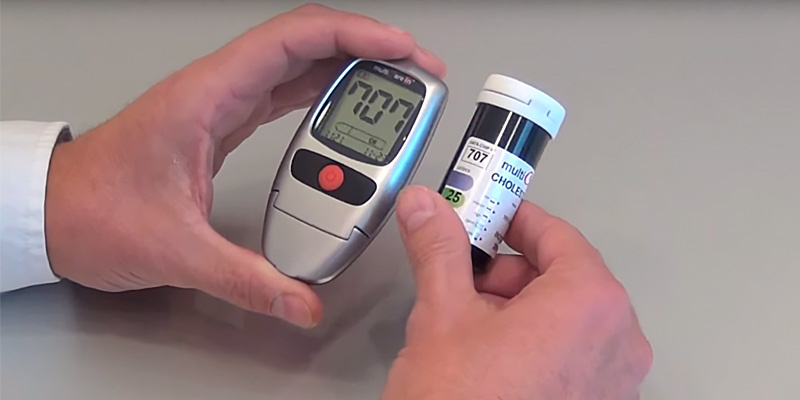 You can set the checker to automatically begin measuring the moment you insert the lancing device. With it, you shouldn't have any calibration problems. 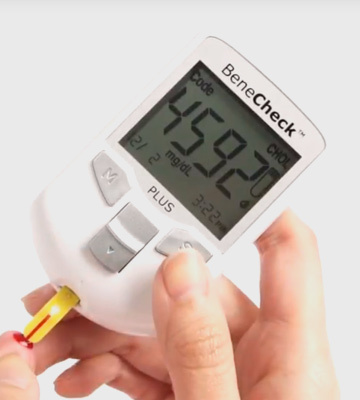 BeneCheck BENEMS-C10 is a really practical and convenient device. You'll be able to easily control and/or hold it with one hand. Frankly, the only issue we have with it doesn't even lie with the device itself but the whole package. To be a bit more specific, the company supplies you with 10 cholesterol strips but not a single glucose or uric acid strip which is a shame since this little checker is perfectly capable of measuring those too. In fact, it is probably the fastest and arguably the most accurate home cholesterol test device on this list. The checker is NHS approved, meaning you don't have to question its accuracy. The model's measurement range is really wide too (you can see the numbers in the spreadsheet on top of the page). 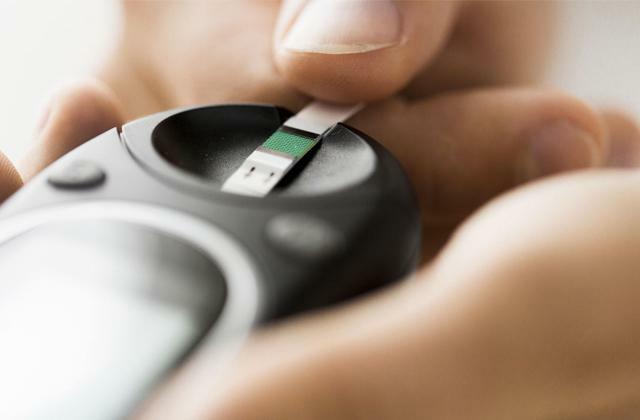 It usually takes the device 5 seconds to measure your glucose levels, 15 to measure uric acid, and 26 seconds to give you accurate cholesterol level measurements. The menu system is simple and straightforward enough. What's more, this product has one of the lowest recurring costs for strips. Finally, this device doesn't burn through batteries as quickly as its peers do. 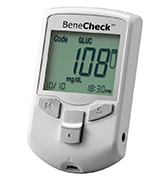 In conclusion, BeneCheck BENEMS-C10 doesn't come supplied with the most comprehensive package. But the home cholesterol test device itself is top-notch. Its measurement range is really broad and the special ejection designed minimises the infection risks. 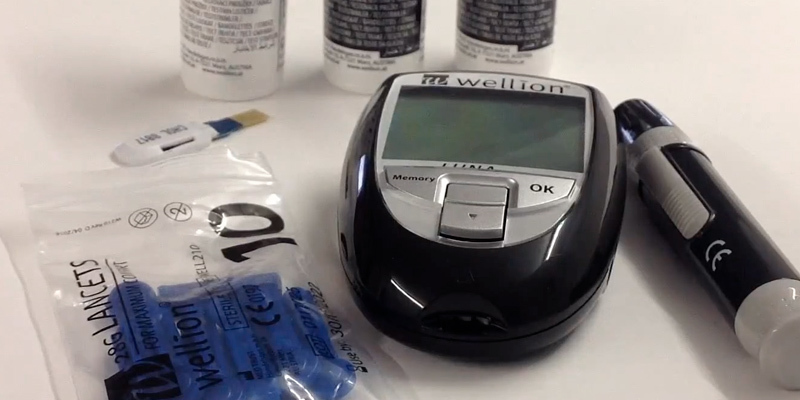 Wellion Luna Duo is a really nice, well-thought-out medical device. 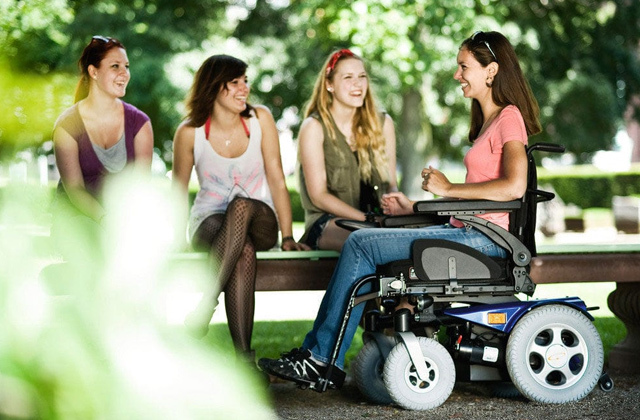 It comes in a variety of colours and, not that it matters that much, the model looks sleek and modern. Adding this product to our list was an easy decision to make thanks to a number of reasons. 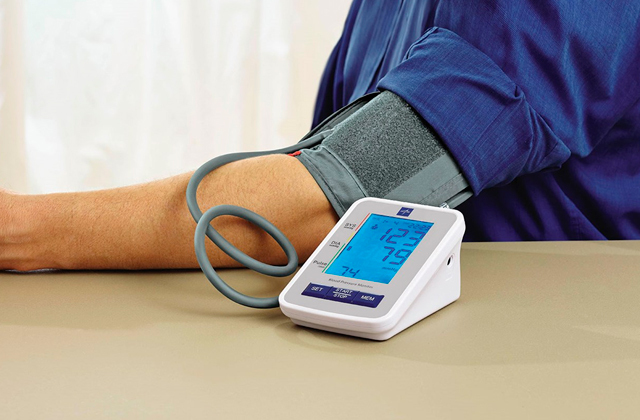 However, assigning it the last spot on the list was easy too, simply because the device is only capable of measuring cholesterol and glucose levels, while every other model here also gives you triglycerides or uric acid measurement options. That said, provided uric acid isn't a problem area for you, there's absolutely nothing wrong with this device. Its measurement range is really good. 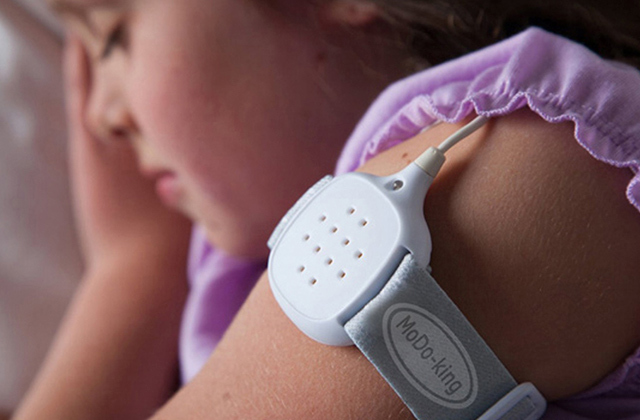 The model is quick too, able to measure your glucose levels in under 5 seconds and cholesterol in less than 30 seconds. There's a clear large digital display that makes it really easy to read the results and navigate the settings. The anti-slip knob and the eject button for used strips make this home cholesterol test machine a real pleasure to work with. Along with the device, the company behind it sends you 10 cholesterol and 25 glucose strips, 10 lancets, a lancing device, a pouch for the tester, and replacement batteries. All things considered, provided you don't suffer from hypoglycemia or any other blood sugar related issue, Wellion Luna Duo is the model to go for. The device is fast, effective, and particularly practical. Considering how expensive cholesterol strips are, you're really getting your money's worth. What Is a Home Cholesterol Test? High cholesterol is no laughing matter. It is by far the most common health issue found in adults these days. Sometimes, it will lead to minor problems, like occasional stomach pains or atherosclerosis (well, the latter isn't a minor issue per se but it isn't that bad compared to the rest of them). Most importantly, high cholesterol levels are known to be linked to coronary heart disease. Worst-case scenario, your blood vessels get blocked completely and you end up having a heart attack. Other than that, high cholesterol poses a number of dangerous risks like diabetes, peripheral vascular disease, or a good ol' stroke. Exercising on a regular basis, avoiding high-cholesterol foods, drinking in moderation (or, preferably, not at all) will likely help you prevent and stave off these issues. 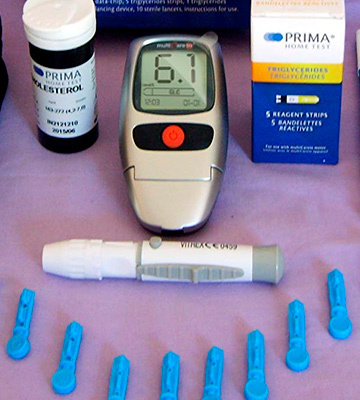 Nevertheless, it is important to check your cholesterol levels from time to time, so we would recommend these home cholesterol test devices to any individual interested in living a long and healthy life but especially those who, due to lifestyle or genetic reasons, are more likely to develop high cholesterol. Plus, these devices, more often than not, are also capable of testing your glucose and uric acid levels. Of course, high cholesterol isn't the be-all and end-all health villain, though it is definitely up there. 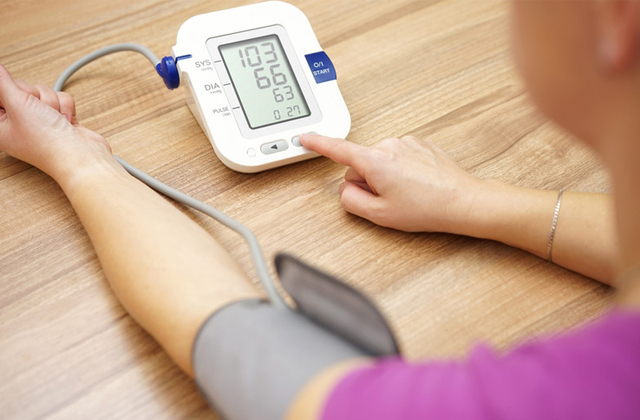 Aside from these devices, we highly recommend looking into blood pressure monitors and pulse oximeters.